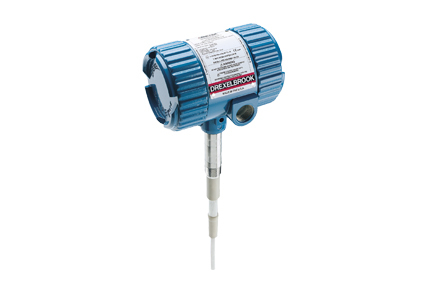 The ‘IntelliPoint’ Point Level RF Switch from Drexelbrook is the best and most versatile point level switch for liquids, slurries, granulars, and interface applications. With the IntelliPoint, simply install the sensor in your vessel and connect the power. The IntelliPoint, with an Auto-Ranging power supply, automatically calibrates itself. The self-test function of the IntelliPoint insures proper system operation. An AutoVerify™ self check circuit continuously monitors the complete system to verify it is functioning properly. The manual Certify™ not only checks the function of the system, but also checks the AutoVerify self-test circuits to make sure that they are also working properly. All these features make the IntelliPoint the most versatile RF switch on the market.